On September 20th, 2011, Luke Nuttall's pancreas suddenly stopped producing insulin. He was taken to Los Angeles Children's Hospital, where he was diagnosed with Type 1 Diabetes. Since then he has endured over 8,000 blood glucose tests and over 4,000 shots and pump cannula insertions. Luke is hypoglycemic unaware - which means he is unable to tell when he has low blood sugar. There is no way to cure or prevent this disease. A Diabetic Alert Dog can save his life. Enter Jedi. After learning of Luke's condition, the Nuttall family wanted to do all they possibly could to monitor Luke's health. They decided to adopt a Diabetic Alert Dog, which would be trained to alert when Luke's blood sugar levels were too high or too low. 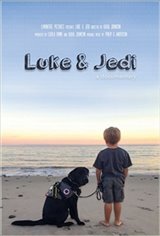 Jedi is a 2-year-old black Labrador Retriever, and is now Luke's sidekick in the battle against Type 1. Jedi can detect changes in blood sugar levels faster than any monitor can, and he is able to fetch Luke's medical "kit" with the necessary equipment to read blood sugar levels. Jedi is not only a part of the family, but an indispensable aid in living with Type 1 Diabetes - a perfect, albeit unique, sidekick. Diabetic Alert Dogs are a relatively new practice to the world of service dogs. Seeing as how 15,000 children are diagnosed with Type 1 every year, Luke and Jedi are setting an example for what is expected to become a useful medical tool.